Throw it in reverse! 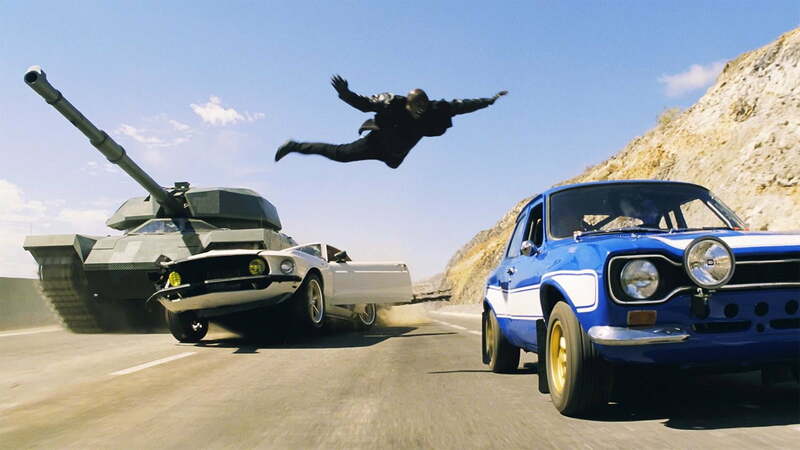 This week, Digital Trends is revisiting every film in The Fast and The Furious franchise before its epic conclusion in Furious 7, in theaters Friday, April 3. When Luke Hobbs makes this assessment of fellow Diplomatic Security Service agent Riley Hicks, he might as well be making an assessment of Fast & Furious 6. 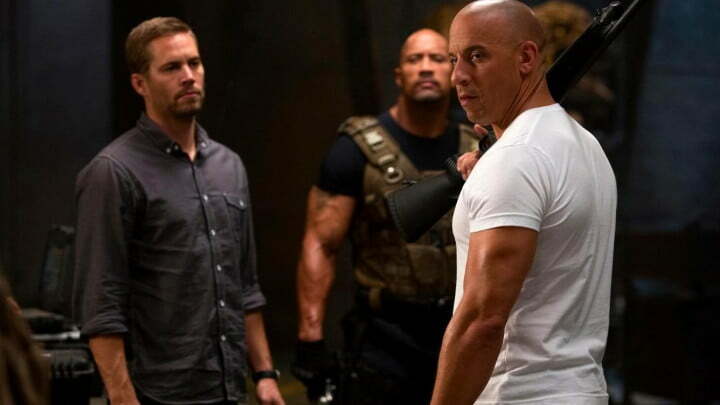 On paper, it’s got everything you could possibly want out of a Fast and Furious movie: Team Toretto in full force, the return of Michelle Rodriguez as Letty, a slew of bad guys led by Luke Evans, an international setting that sees our heroes and villains racing all over Europe, one final ride with franchise veteran Justin Lin … the list goes on. But just as Hicks herself was too good to be true, is the same true of Furious 6? 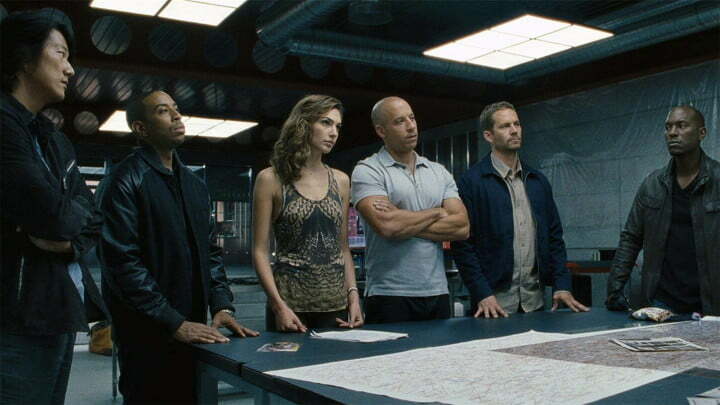 Is there something missing about the sixth round of Fast and Furious action? For my money, I’ll say that I enjoyed Furious 6 more than Fast Five, the closest cousin of the 2013 edition of the franchise — it’s a more consistent ride, entertaining all throughout, each and every scene worth watching again and again and again. 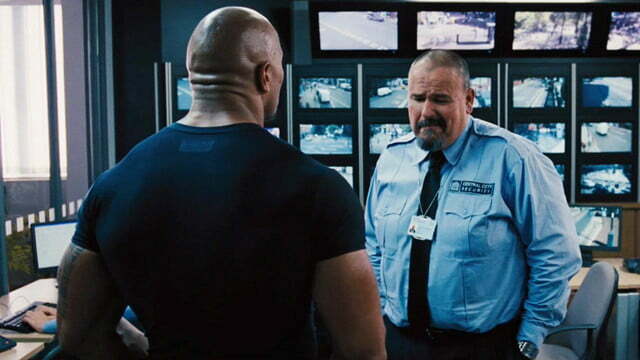 But there isn’t a single moment higher than the highs of Fast Five; no Hobbs versus Toretto matchup to speak of, no vault heist through the streets of Rio de Janeiro. Those two scenes alone are enough to make the argument that Fast Five is the best in the series. 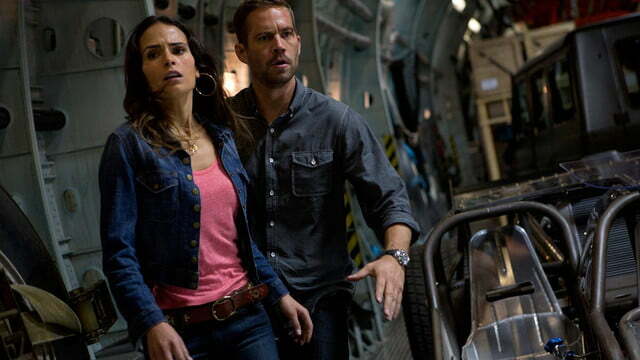 That said, the lowest moments of Furious 6 stand taller than Fast Five’s lows; there’s no Diet Ocean’s Eleven here. It’s all speed, all fury, all the time. 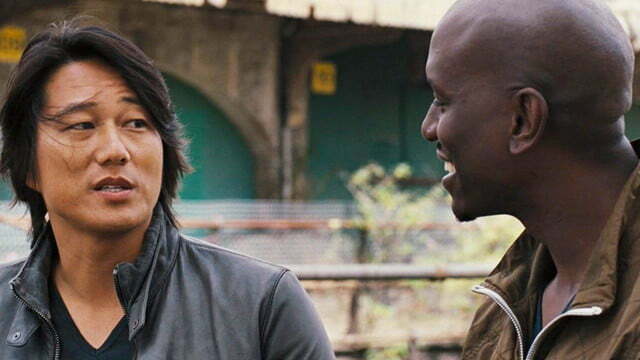 Where Fast Five had to spend half its run time positioning the plot to bring Roman Pearce, Tej Parker, Han Seoul-Oh and Giesele Yashar into the mix, these characters are all in place from the very first moments of Furious 6. More importantly, Hobbs himself is firmly established. 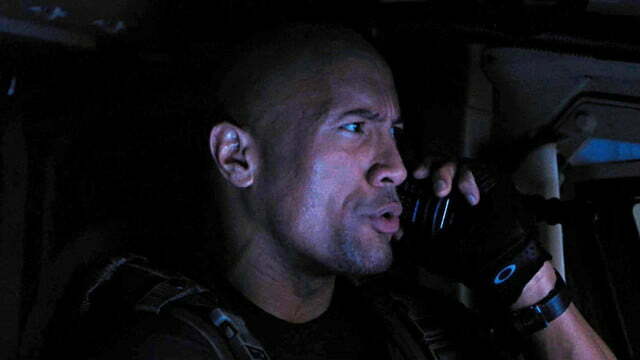 It takes no time at all to remind audiences about Dwayne Johnson’s pure, unabashed awesomeness as the impossibly muscled DSS agent. His quips and one-liners are fewer and further between in his second Furious appearance (though he still has some winners, like”Last place I want to be is on your front steps selling Girl Scout cookies.”), but at least he’s on Team Toretto from the very beginning, affording Johnson the opportunity to interact with members of the squad he hasn’t yet mingled with. His scenes with Tej and Roman, for instance, are pure comedy gold. Really, it’s the mixing-and-matching of the Team Toretto players that makes Furious 6 stand out from its predecessors. Hobbs and Tej join forces to purchase a bunch of sweet rides and make the salesman look and feel like the inadequate chump that he is. Han and Roman get to participate in one of the coolest fight scenes of the series, squaring off against Jah, played by The Raid: Redemption veteran Joe Taslim. Lin and writer Chris Morgan emphasize the various dynamics at play within the Toretto family, not just Brian and Dom, and it makes the world and characters feel richer as a result — even if this particular lineup of the band won’t remain intact past this movie. 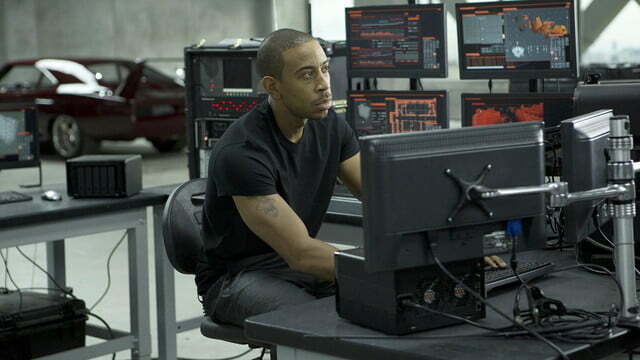 The Fast and Furious movies boast a refreshing willingness to break the best toys in the toy box. While these pairings work, they do come at the expense of the Dom and Brian dynamic. 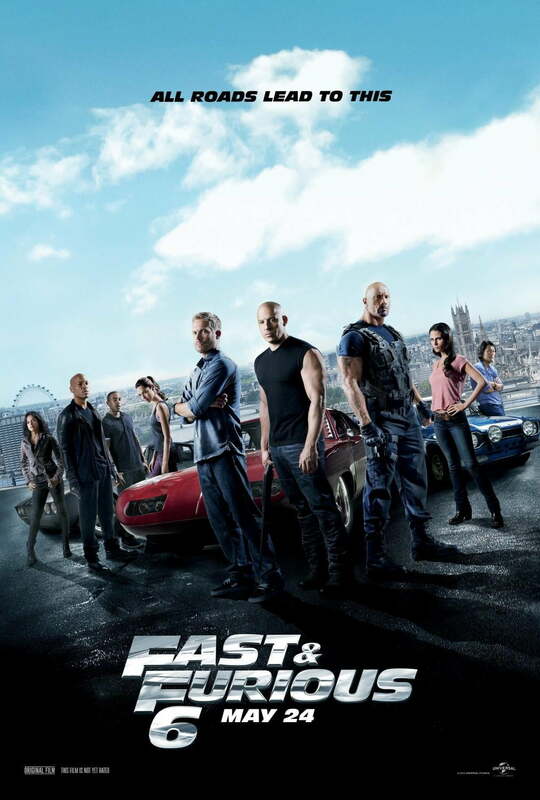 Their friendship takes a backseat in Furious 6, as Dom wrestles with trying to stop an amnesiac Letty from running with the wrong crew, and Brian does … well, not a lot. He’s a new father, but that’s not a huge factor in the movie, not until Mia becomes a damsel in distress in the final act. (Should I give kudos to the franchise for waiting six movies to turn Mia into the kidnapped princess in the castle? It’s not a great look for Mia, I’ll say that much.) It’s a shame that there’s so little for Brian and Dom to do together, especially since our time with Brian is about to run out with Furious 7. That said, what more is there to do with these characters? They’re solid with each other. Their trust is restored, their faith in each other’s loyalties and abilities stronger than a tank. Perhaps Furious 6 is just the point in the franchise where the Dom and Brian thing is exactly what it’s always going to be. Not to say there isn’t a beating heart in this movie — it’s just not between Brian and Dom. Instead, it’s Dom and Letty, as Toretto tries to rescue his former flame from flaming out, while Letty herself struggles with the very obvious reality that she had history with Dom once upon a time, but can’t remember a lick of it. Even without her memories, Letty’s the same Letty as always; tough-as-nails, takes no nonsense from anyone, disobeys authority figures even when it’s potentially at her own detriment. Having Rodriguez back in the lineup is a very good thing indeed, and her scenes are some of the best in the whole movie. Beyond Dom and Letty, the other big emotional beats belong to Han and Gisele. Going into the movie, I knew Furious 6 would be our last race around the track with Han, with the series finally catching up to his Tokyo Drift demise. But I had no idea this would be Gisele’s final lap, too. Her death near the end of the movie, a sacrifice play to save Han’s life, was a total shock. It’s especially brutal knowing that (A) they were just about to settle down for the kind of life Brian and Mia were settling into, and (B) Gisele is sacrificing herself for a man who is weeks, if not days, away from death’s door himself. Perhaps there’s something comforting about Han and Gisele both winding up in the same place, but regardless, it was a left turn I did not see coming at all. If I’m honest, Gisele’s death is a big part of why I prefer Furious 6 over Fast Five, even if I’m not sure I’d call it the superior movie. But here, in the sixth film in the franchise, we lose a core member of Team Toretto in a random act of violence, with no time for condolences, no attempts at apologies. It just happens — and it happens knowing full-well that Han’s days are numbered, too. Two important pieces are suddenly off the board. It’s not something you see in most successful, well-oiled franchise movies; if Optimus Prime dies in a Transformers movie, chances are he’ll be alive again by the time the credits roll. And while death hasn’t always been permanent in the Fast and Furious franchise (just ask Letty), it’s hard to picture how Han and Gisele could roar back to life after the fairly definitive depictions of their final moments. In other words, Furious 6 hurts. It has meaningful victories for the villains, not just the heroes. These movies have heart, they have hustle, they have unbelievable action the likes of which you won’t get anywhere else (the tank bursting out of a truck and onto a highway, and Dom’s car similarly birthing out of the nose of an airplane, are two of the most insane images I’ve ever seen in any film), but just as importantly, they have guts. The Fast and Furious movies boast a refreshing willingness to break the best toys in the toy box, consequences and your feelings be damned. That’s my big takeaway leaving Furious 6 — and it’s a frightening prospect to consider, now that there’s only one movie left with Paul Walker in it. NEXT: Brian O’Connor rides one last time.